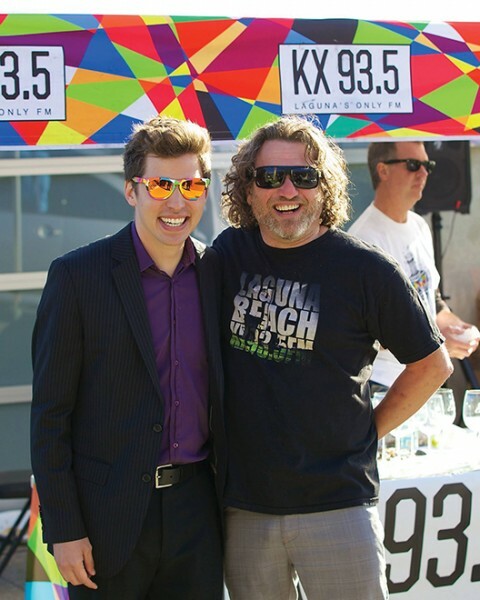 Jason Feddy, right, with KX 93.5 founder Tyler Russell in 2015. KX 93.5, Laguna’s only FM station, was recently awarded a$20,000 Laguna Beach Community Assistance Grant. Grants are available to nonprofit organizations in need of funding that provide special services to the city. The grant will help the station as it continues to serve Laguna Beach residents through emergency preparedness, public safety education and community service, said General Manager Tyler Russell. KX 93.5 also received a $7,000 grant from the city of Laguna Beach to be used toward the station’s annual concert. Made possible by revenues from the Laguna Beach Business Improvement District and monitored by the Laguna Beach Arts Commission, the grant will be used to promote the festival and foster the community’s appreciation of cultural arts.